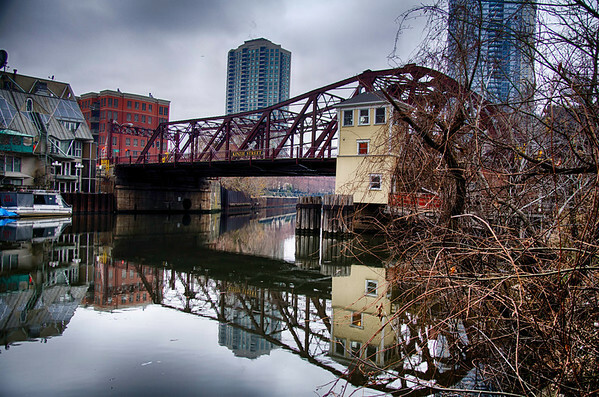 A reflection of the Kinzie Bridge over the Chicago river in downtown Chicago on a gray morning in November. troygallagher thank you very much for the kind words! Have a wonderful rest of your day. Thank you KDP450 have a great day. Merrie, I don't currently but I am sure I could get back down within a few weeks to take some for you, provided you have enough of an interest. Why don't you reach out to me on G+ if that sounds like it could work. I appreciate your comment and compliments, thank you!